If you're somebody who likes to sleep soundly and ignore the clock, 'Wake N Shake Alarm' is your salvation. It is a most curious applications that can be found in the App Store and now also is available for free in the Apple store. So hurry up and download it before the end of this temporary offer. With 'Wake N Shake Alarm' that falling asleep or having to put ten alarms to wake is going to end. When you remove the alarm, it will not stop ringing until you shake your iPhone tightly. Ultimately, that will leave you with little desire to go back to bed (although it also has the "Snooze"). In addition, this version can even compete with your friends to see who becomes the "king or queen" of the awakening of the week, to be accumulating points through the use of the app. The sooner you wake up and turn off the alarm, the more points sums. The application already has over 100,000 downloads in the App Store. You can find it for free for a limited time. 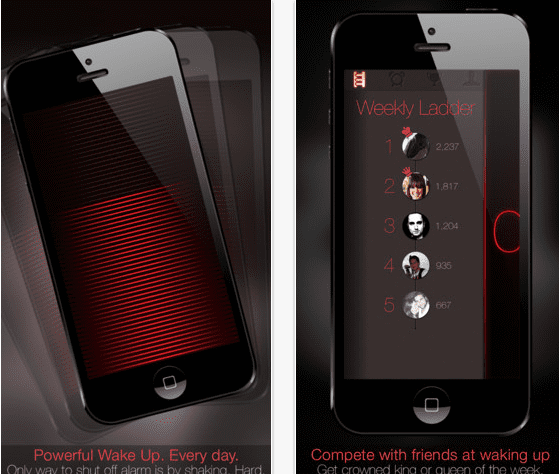 The article 'Wake N Shake Alarm', the most effective alarm, available for free has been originally published in News iPhone .